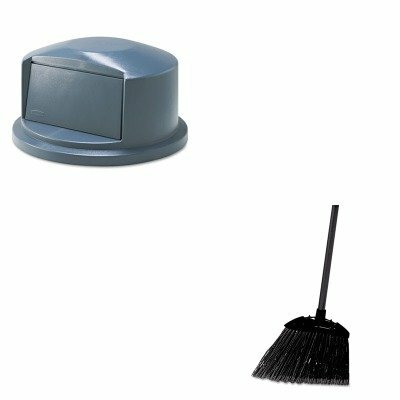 lt;stronggt;RCP263788GYlt;/stronggt;lt;BR/gt;Rubbermaid-Gray Structural Web Brute Dome Toplt;BR/gt;Spring-action push door and snap-on design make this perfect for waste management and odor control. All-plastic, professional-grade top will not rust, chip or peel, and it resists dents. Lid Type: Dome With Push Door Materials: Plastic Colors: Gray.lt;BR/gt;lt;BR/gt;lt;stronggt;RCP637400BLAlt;/stronggt;lt;BR/gt;Rubbermaid-Gray Structural Web Brute Dome Toplt;BR/gt;Cut and shaped for easy sweeping in hard-to-reach areas. Flagged, acid-resistant polypropylene fill bristles. Will not stain, discolor or absorb odors. Can be used wet or dry. Overall length 35amp;quot;. Application: Spot Bristle Material: Polypropylene.